Below are letters that have been successfully used when dealing with the Canadian Revenue Agency at various levels of appeals for the Disability Tax Credit for those with Type 1 diabetes. Please note that these are guidelines to assist you in your own tax case ONLY. We are not lawyers or accountants. interpreted by the Courts . averaging not less than 14 hours a week. weighing them in addition to the actual injection of the insulin. well-being and can cause death. 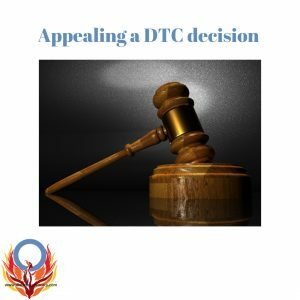 medical information to substantiate the DTC claim. Note: All data from the glucose levels and injections must be recorded.______ must be observed during snack and meal times to ensure that everything is consumed. Give detailed, time of day account of 24 hours in your life. living and can cause death. Consent to Judgments for Marche v. The Queen 2004 and Borne-Williams V.
called juvenile diabetes) is one of the most serious chronic diseases affecting young children and adolescents for which there is no cure. Prior to the discovery of insulin in 1922, the onset of the disease meant almost certain death for these children. Type 1 diabetes cannot be completely controlled; it can only be managed. The mortality rates for many children with Type 1 diabetes has improved significantly over the past decade reflecting better glycemic control as a result of frequent monitoring of blood glucose levels and the adherence to a strict regime of carbohydrate and protein intake in addition to multiple daily insulin injections. 1. ____________ was diagnosed with Type 1 diabetes mellitus in __________ . therapy to sustain a vital function. mortality rate associated with the disease. – injecting the fast-acting insulin sub-cutaneously. 6. Without multiple insulin injections along with the strict monitoring of ________’s blood sugars and carbohydrate intake and the ongoing assessment of trends and adjustments in his insulin dosages, ____________ will suffer from hypoglycemia (low blood sugar levels) or hyperglycemia (high blood sugar levels). 7. If ____________ is hypoglycemic with too much insulin in his system, the body does not have the energy to function properly, which particularly affects the brain. experience epileptic seizures or lapse into a coma. 9. If a hypoglycemic coma is left untreated, it will cause brain death. his system, the body tries to maintain its function by the use of an alternative fuel source – fat. The breakdown products of fat metabolism are toxic to the body and cause diabetic ketoacidosis. 11. Diabetic ketoacidosis is harmful to all organs, but particularly to the brain. It constitutes a medical emergency. 13. His blood glucose levels measured _______times a day and ____ daily insulin injections. 14. 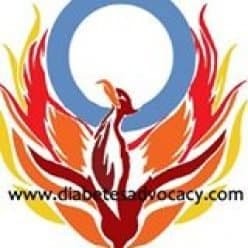 In my professional opinion, insulin therapy constitutes life-sustaining therapy as referenced in Part B of the Disability Tax Credit (DTC) Certificate, Form 2201.